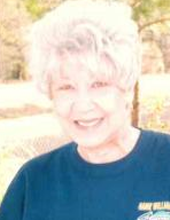 Mrs. Mary E. Jones died peacefully on March 24th 2019 in Ocean Springs, Mississippi at the age of 82. Mary E Jones is survived by her daughter Patricia Diamond ( Lewis ) of Ocean Springs, MS; her sons, Mark (Theresa) Jones of Boyce, LA , Michael (Trish) Jones of Grand Prairie, TX, Craig (Evelyn) Jones of Germany; sister, Christine (U.J) Ladner of New Augusta; grandchildren, Matthew Jones, Tiffany Jones, Kristin (Joshua) Roup, Kaylee (AJ) Cooper, Gregory (Hannah) Jones, Elizabeth (Joshua) Bush, and Victoria (Derick) Shed and a host of nieces and nephews. Mrs. Jones was preceded in death by parents, H.W Smith and Jennie Mae Smith; husband, Wylie C “Buck” Jones; sisters, Annie Lois Hodges, Lillian Walters and brother, Clyde Smith. Mary E. Jones was born on November 13th 1936 in Hattiesburg, Mississippi to Herbert and Jennie Smith. Mary Jones was a woman who lived by faith, and anyone that ever knew her would have felt the presence of god in any room she was ever in. Her love for Jesus grew larger than life and now she is in a place where her light can shine. A visitation will be held Moore Funeral Service in Petal, MS on Wednesday March 27th from 4pm to 8pm. The funeral is scheduled for 11:00 a.m., Thursday, March 28th at Memorial Baptist Church in Richton, MS with a burial following at New Augusta Cemetery. To send flowers or a remembrance gift to the family of Mary Jones, please visit our Tribute Store. "Email Address" would like to share the life celebration of Mary Jones. Click on the "link" to go to share a favorite memory or leave a condolence message for the family.